How can public debates about healthcare engage with the emotional landscape of surgical practice? In this blog post, Engagement Fellow Alison Moulds explores how a growing interest in the affective side of medicine is shaping the policy agenda. Over the last few decades, perceptions of NHS care and the surgical profession have been influenced by a series of high-profile hospital scandals. In the 1990s, a whistleblower raised the alarm over the high mortality rates among babies undergoing heart surgery at the Bristol Royal Infirmary. A public inquiry blamed a range of factors, including a lack of leadership and an old boys’-style 'club culture', and called for greater patient involvement. In the mid-2000s, poor patient care and high mortality rates at Stafford Hospital were exposed in what became known as the Mid Staffs Scandal. This triggered a public inquiry led by Robert Francis QC, whose in-depth report demanded greater openness and improved support to deliver compassionate care. Last year, breast surgeon Ian Paterson was imprisoned for carrying out unnecessary operations on patients. He was indicted as a rogue surgeon and an arrogant bully. Such incidents have become synonymous with poor patient care and medical negligence. News coverage of these scandals has intensified public anxieties about toxic working cultures in the NHS and perpetuated fears about harmful and even sinister surgical practices. Our perceptions of the surgical personality are partly formed by the media and popular culture. ITV’s recent primetime drama Trauma featured as one of its protagonists an eminent consultant named John Allerton (played by Adrian Lester). He sought to conceal an error he made in the operating theatre which led to the death of a teenage boy, who had been admitted following a knife attack. The melodramatic plotline saw the patient’s grief-stricken and increasingly vengeful father – Dan Bowker (John Simm) – harass the surgeon and his family to expose the truth. Under extreme pressure, Allerton’s usual composure dropped and he violently attacked Bowker. He admitted his mistake but remained unrepentant, casually remarking that ‘Surgeons lie all the time’. While the character was never reduced to a pantomime villain – the storyline also examined the pressures of emergency care – the programme capitalised on the trope of the arrogant surgeon who ‘plays God’ with his patients’ lives. These stereotypes surrounding surgical practice are nothing new and can also be found in the nineteenth century. In the 1860s, Isaac Baker Brown – a specialist in gynaecology and obstetrics – practised ovariotomies and popularised clitoridectomies as a treatment for women suffering nervous disorders. Initially praised as a skilful surgeon, Baker Brown was expelled from the Obstetrical Society in 1867 and his procedure was discredited by the 1880s and 90s. Alarm about unnecessary surgical interventions then fed into contemporary popular fiction, including Julia Frankau’s deeply anti-Semitic novel Dr Phillips, A Maida Vale Idyll (1887). The titular protagonist is an adulterous GP, who murders his wife following her ovariotomy. The unremorseful Phillips later becomes a leading light in the surgical world, ‘champion[ing]’ the ‘rage for surgical interference’ by ‘unsex[ing] woman and maim[ing] men’, an allusion to clitoridectomies and circumcision. Recognising toxic cultures and harmful practices has long been important to improving patient care. Yet pejorative stereotypes about the profession risk constraining our understandings of surgical practice. They can negatively impact surgeons’ self-image and patients’ expectations of surgery. Despite the ubiquity of the detached or dispassionate surgeon in the popular imagination, there is a growing appetite to engage with the rich emotional landscape of surgical practice. The Royal College of Surgeons of England’s (RCS) Good Surgical Practice (2014) – a guide which outlines the ‘skills, values and attitudes’ underpinning the profession – opens with a moving foreword, which highlights both the ‘joys and disappointments’ of being a surgeon. Our project investigates the role of emotions in surgery from 1800-present, rethinking popular myths and opening up new ways of thinking about the surgical encounter. Public inquiries following high-profile scandals have moved the conversation beyond stereotypes of the surgeon to stimulate wider debates about working cultures and patient care. Their influential reports have provided blueprints for wider healthcare reform. As a result, the emotional cultures of the NHS remain an important priority among policymakers. In the last month, independent health thinktanks the King’s Fund and Nuffield Trust both published blog posts discussing the role of emotions in healthcare, with particular attention to the wellbeing of the NHS workforce. As these blogs highlight, there are a raft of initiatives across the UK aimed at both enhancing practitioners’ wellbeing and promoting open organisational cultures. The NHS Practitioner Health Programme (PHP), for instance, supports practitioners and trainees with mental health issues, including stress, depression and addiction. The British Medical Association helps practitioners and students in difficulty or distress through its Counselling and Doctor Advisor services. At an institutional level, Schwartz Rounds provide sessions for staff from across disciplines to discuss difficult emotional and social issues arising from patient care. Schemes such as these help to support surgeons during a time of huge pressure in the NHS. They draw attention to the range of emotions experienced in surgical practice. There has been an increasing focus on stress and burnout among the medical profession, reflecting a wider societal interest in mental wellbeing. In an article for the RCS magazine The Bulletin, Clare Gerada (Medical Director of the PHP) highlights that surgeons are among the least likely of all practitioners to seek help for their mental health, and asks why that might be the case. She points to how ‘group norms’ (such as toughness and resilience) might deter them from asking for help, and how surgeons’ close contact with patients at their most vulnerable might place a ‘heavy toll’ on individual practitioners. At the same time, she also notes that most surgeons ‘enjoy their job and thrive’, thus acknowledging the range of emotions (both good and bad) in surgical practice. My colleague Agnes Arnold-Forster (Research Fellow) and I recently met with Gerada to discuss her findings in more depth, and to explore how surgeons’ mental health might be affected by the nature of their work. At present, the Royal College of Surgeons of Edinburgh (RCSEd) is leading an important campaign designed to tackle bullying and undermining in surgery and in the NHS more widely. A 2014 survey conducted by the College found that 40% of respondents had been victims of bullying. 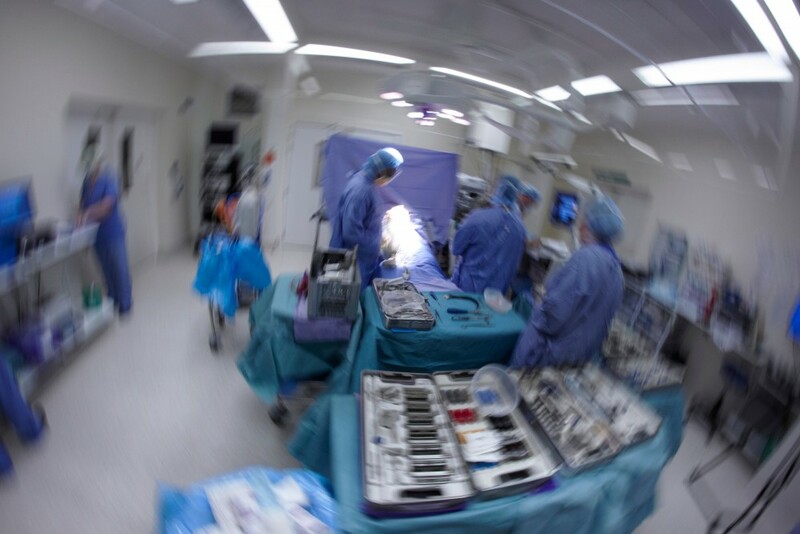 Initiatives such as this – which intend to help change working cultures – show the appetite for reform that exists within the surgical community. Agnes and I attended a one-day workshop run by the RCSEd (in conjunction with the Royal College of Obstetricians and Gynaecologists) on the subject of the campaign. The day explored a spectrum of issues from stereotypes about the surgical personality to how organisations and individuals can tackle bad behaviours. It was a pleasure to take part in discussions among such a diverse group and to talk about our project’s early findings. Over the next few years, the Surgery & Emotion team will harness its research findings to contribute to broader conversations about the role of emotions in NHS care. We recently submitted evidence to the RCS’s Commission on the Future of Surgery, in which we emphasised the importance of supporting surgeons’ wellbeing during times of change. We highlighted that new technologies and innovations bring immense opportunities but also pose questions about the surgeon’s role, identity and self-image. Our project is also organising a one-day workshop about the role of emotions in surgical care (past and present) which will be held at the RCS in London on 1 June 2018. ‘Operating with Feeling’ will bring together surgeons, historians and policymakers to discuss issues such as stress, burnout and bullying; anxiety, doubt and grief; and compassion and sympathy. We’re passionate about creating a dialogue between researchers, practitioners, and those involved in professional policy. If you’re interested in taking part in the event or in our research, please get in touch with us at surgeryandemotion@roehampton.ac.uk. Don’t forget to check in with this blog for more updates on our activities and events.